Will You Help With a Malicious Threat? Discussion in 'News and Announcements' started by Roshen, Aug 13, 2015. 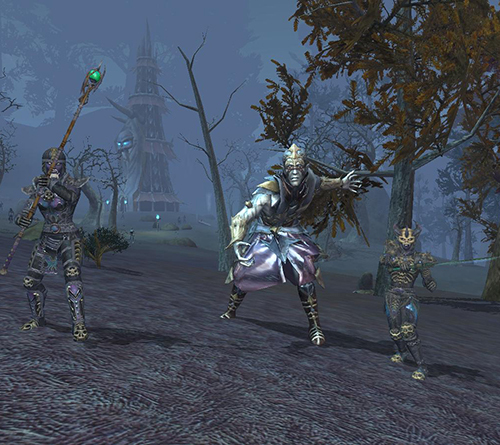 Will you confront malice in Norrath? This in-game event runs until Wednesday, September 16, 2015. Rose, Kuulei, Pantero and 6 others like this. An Event well that will pull me off the TLE for a bit lol sounds like fun! Wow talk about a short event. Only a few days long? Glad I have time to play but I feel for those who don't have the time to do so. Ahh well, such is life. It's a month. Today is 14th August (my time). The event ends 16th September. Ahh my bad. I somehow missed that it was until Sept, lol. Thank you for the clarification, Rhodris. with whatever change that was introduced with AoM, I experience single digit FPS in TS; everywhere else in Norrath 20-30 FPS. and not finding Primordial anything in other zones, Antonica, mentored down to 70 in Bonemire, mentored down to 90 Eastern Wastes, nothing. in Enchanted Lands. I did find a whole single group of lvl 35 Primordial, so I walked up to them,.. nothing, no change to my level or anything, and while I was hailing them, a member of the Kni guild stole the group. Ceyarrecks - sorry to hear about your performance issues. I've had no issues in PS or TS. They are easy to find, although I've figured out the secret spots where they cluster. I can get 50 baubles in about a half hour's time, easy. And side note - they are not supposed to change level - they are leveled to the zone they are in. Once you've engaged in the fight, no one can steal your mob from you. When I saw this topic on the launcher and followed the link, I half-expected to find some story about a hacker attacking the EQ2 code, lol! Man, I've got to stop reading Digital Forensic Investigator News! suka, Katz and Ceyarrecks Wunnfirr like this. As of today's patch. I get 7 or 8 lines of spam saying "Requires Time Locked Server" when I log in, join or leave a group, or zone. I'm getting the same "Timelocked Server" message and have yet to find any spawns after the starting mission, regardless of zone. Rose and Awkk like this. I take it that this event is only available on the "live" servers and not the TLE's?